We get lots of questions here at Cosmetic Surgery Today about Selphyl Injectable Filler and Vampire Facelift. In an effort to answer those questions, we went directly to the source! We sat down with the Medical Director of Selphyl, Dr. Richard Goldfarb. He clears up a lot of myths and provides a much better understanding of how this popularly titled Vampire Facelift is actually performed. Why is weight loss different for men and women? 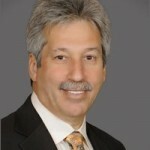 CosmeticSurgeryToday.com is working to link potential patients to qualified cosmetic surgeons in their area. Their doctor link program is a new website feature, and is currently accepting Charter Doctors. CosmeticSurgeryToday.com is now accepting Charter Doctors to become members of this comprehensive plastic surgery portal where qualified cosmetic surgeons become visible to thousands of visitors each month. Botax out, tan tax in?